For a little Halloween fun, we have put together a quick Trick or Treat Trivia game! The answers are at the bottom of this post. Which Chicago area serial killer is represented in our library collection? How many years has the Wisconsin State Law Library been hanging around? Website, Public Access Westlaw, Borrow by Mail, or HeinOnline? Which keyword does not result in any hits in our library catalog? Ghost, Goblin, Witch, or Vampires? What title do we not have in our collection: Enter the Corpse, Death in Wisconsin, Stalking Justice or Goodbye Lizzie Borden? What three types of creatures inhabited the library in the capitol building? 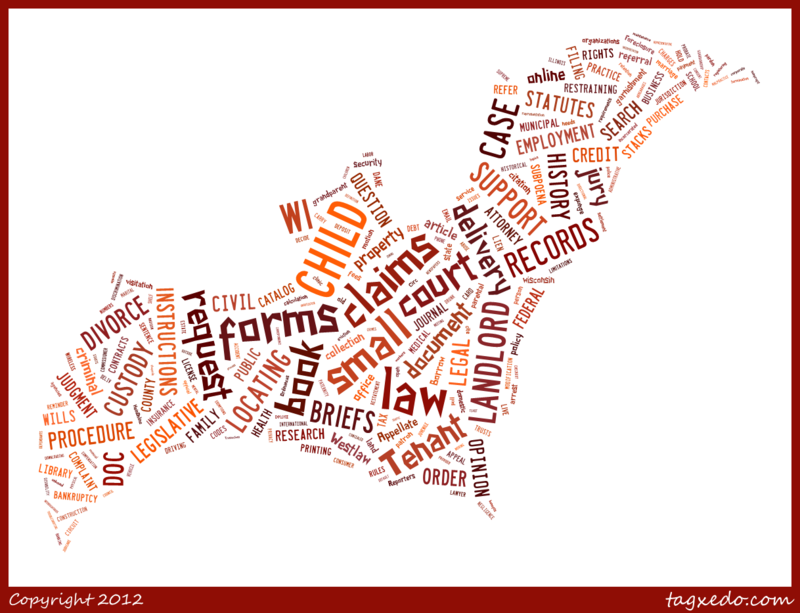 Below is a tag cloud of some of the types of questions we have received in the past year. Are you in need of our spookily speedy research help? Ask a Librarian! Can the election be postponed due to the hurricane? The authority to determine a date for presidential elections is found in the US Constitition, Article 2, §1. This section authorizes Congress to determine the timing of the election, which is detailed in 3 USC §1 "Time of appointing electors." "The electors of President and Vice President shall be appointed, in each State, on the Tuesday next after the first Monday in November, in every fourth year succeeding every election of a President and Vice President." As far as whether a Federal election would be rescheduled, the Congressional Research Service published a study on this question in 2004: "Postponement and rescheduling of elections to Federal office". The report notes that while Congress has the authority over the timing of presidential elections, there is no express constitutional direction or federal law which "provides express authority to 'postpone' an election." Follow the link for the report to read more about the issue! With the November 6th election fast approaching, here are answers to some questions we get at the library. Wisconsin residents can check on their voting status, view sample ballots, and locate their polling place on the Wisconsin Voter Information website (https://myvote.wi.gov/). When and where can I register to vote? How are active military members voting? I just moved. Can I still vote? What determines the order of names on a ballot? If I register to vote, am I also signing up for jury duty? Can convicted felons vote? In Wisconsin? Elsewhere? Currently no photo identification is required to vote. Voter Photo ID provisions of 2011 Wisconsin Act 23 are currently enjoined orders of by two Wisconsin circuit courts. Those decisions have been appealed by the Attorney General, but until they are resolved, no photo ID is required to receive a ballot in Wisconsin. Check the GAB guide on registering to vote for general information and start the process of registering. Wisconsin residents can start the registration process at https://myvote.wi.gov/ by using the registration form wizard. You can also contact your local city clerk's office or register at your polling place on November 6th. If you intend to register at the clerk's office, be aware that registration at the clerk's office ends the Friday before the election at 5:00 p.m. or close of business, whichever is later. With the election next week, proof of residence will be required to register at the clerk's office or at your polling place. The GAB has compiled a voter registration deadlines guide for the upcoming election. See this GAB information page, What Are The Deadlines for Making an Absentee Ballot Request?, and learn more about absentee ballots from their main FAQ page. By mail: request must be received in the office of the municipal clerk no later than 5 pm on the Thursday preceding an election. In-person: a request made in person at the clerk's office may be made until 5 pm on the Friday preceeding the election. Hospitalized electors and sequestered jurors have further options, and can learn more by contacting their local municipal clerk. There are a few ways that military members can request and complete ballots. Those methods are outlined on the GAB military voters information page. There is also a special starting page for military and overseas voters on the https://myvote.wi.gov/ website. Voters who will reside at their address for at least 28 days by Election Day are eligible to vote. For those newly arrived in Wisconsin, learn more about obtaining a presidential ballot from the instructions on page 2 of the GAB form for Application for presidential ballot - new Wisconsin resident, or contact your local municipal clerk for more information. The rules for the order of names on ballots for president can be found in Wisconsin Statute 5.64. See also, the GAB's How is the order of candidates' names appearing on the ballot determined? No. Jury duty rosters are pulled from the WI Dept. of Motor Vehicles records, not from voting registrations. If you have a Wisconsin drivers license or state ID, then you will be in the DMV's records. The US Justice Department publishes a book called Civil Disabilities of Conviction Felons: A State by State Survey. This book covers not only voting restoration but other rights, such as sitting on a jury and holding public office. Firearm possession is also covered. According to this book, "the effect of a federal felony conviction upon the right to vote is determined by the law of the state in which the felon seeks to vote, and thus varies from state to state. In Wisconsin, a convicted felon may vote after serving all time - prison, probation / parole. ProCon.org provides a state-by-state chart and is more up-to-date then the USDOJ publication. See our recent blog post on that topic: Can the election be postponed due to the hurricane? 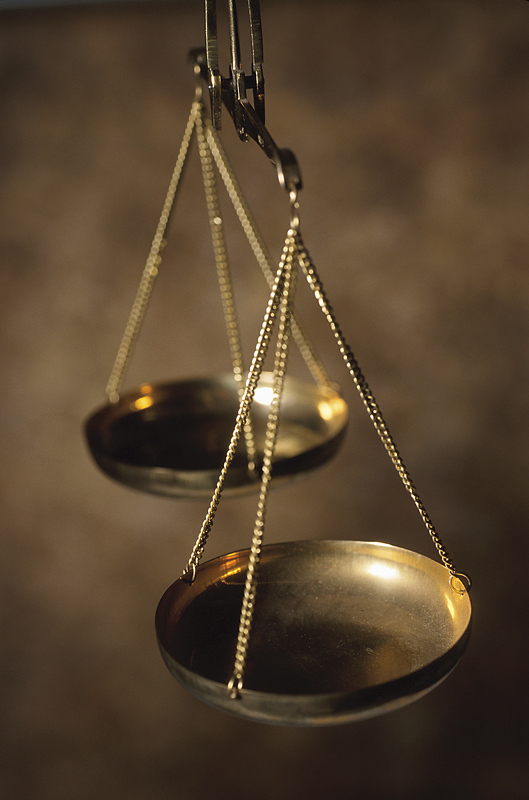 The Commission was created in 2009 by the Wisconsin Supreme Court at the request of the State Bar of Wisconsin to aid the courts in improving the administration of justice by supporting civil legal services to those who cannot afford them. Its mission is to develop and encourage means of expanding access to the civil justice system for unrepresented low-income Wisconsin residents. Through the Commission's series of public hearings being held around the state, local community members, judges, lawyers, social services agencies and others are sharing their experiences, and challenges, in providing or finding civil legal assistance for low income people in Wisconsin. In her remarks, Lisa described the services and access to legal research materials DCLRC provides for self-represented litigants, who comprise more than 70% of its 20,000 users each year. The Wisconsin Access to Justice Commission has a summary of the session on their website: Milwaukee and Madison speakers highlight the fraying legal safety net for the poor, by Jeff Brown. A few months ago we wrote about free legal ebooks available from different educational and governmental organizations. As a follow-up to that post, the Wisconsin Legislature just came out with a new beta version of the Wisconsin Statutes in ebook formats. A link to download the ebooks and technical recommendations can be found on the Wisconsin Statutes home page. Ebooks are available in .epub and Amazon Kindle .mobi formats. Quick instructions for using the books on smartphones, iPads, Kindle, and Nook devices are included. October marks the 9th annual National Cyber Security Awareness Month, sponsored by the Department of Homeland Security in cooperation with the National Cyber Security Alliance (NCSA) and the Multi-State Information Sharing and Analysis Center (MS-ISAC). Learn about how to stay safe online from the Dept. of Homeland Security's Cyber Security Awareness Month pages. Highlights include the Stop.Think.Connect. public education campaign, resources for defending against cybercrime, information for business owners, lesson plans for teachers, and information technology security guidelines. The online catalog, HeinOnline, and LegalTrac may be temporarily unavailable from 6:30 to 8:00 a.m. on Thursday, October 18th. Regular access will resume after 8 a.m. on Thursday morning. Thank you for your patience during this brief down time. This month the library is highlighting a print set called Americans with Disabilities: Practice and Compliance Manual. It is a valuable and well-respected treatise and practice manual. Comprised of 4 main topics, the set is housed in 7 looseleaf binders. All the volumes circulate to our library card holders. The 4 main practice areas include: Programs, Services and Accommodations; Employment; Education; and Housing. Forms are included at the end of each main topic making this set a valuable tool for practitioners. It also contains relevant statutes, regulations, and agency materials, as well as ALR annotations and strategies for trial from Am. Jur. Trials. This set is updated quarterly and our set was most recently supplemented in August 2012. This well organized manual might be just the place to start your disability law research, whether you are researching compliance requirements, defending against, or filing for a discrimination suit under the ADA. October brings us beautiful fall colors and a very full newsletter. Highlights include a reminder to sign up for our fall CLE classes, information about our upgraded wireless network, and a new guide on major employment law treatises. What's New: Staff news, upcoming classes, and a reminder about our traveling CLE library orientation presentation. WSLL WiFi Upgrade: Upgraded service to accommodate more devices. This Just In…: A monthly highlight of new titles, plus our monthly list of new library additions. Tech Tip in Brief: Tips for using the WI State Legislature's Wisconsin Law Archive. Start Here: A Guide to Employment Law: Top resources for starting your employment law research. WSLL Recommends: The Law of Premises Liability: One of the most complete and up-to-date resources available on the law of premises liability. Odds 'n' Endings: Introducing the new Congress.gov and October notables. The UW Law School library may be closed on Thursday for the President's visit, but our library will be open as usual, 8 a.m. to 5 p.m. We encourage law students looking for a place to study to come on by. 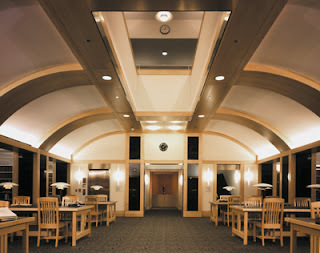 Our library features a variety of seating areas: the Reading Room, smaller group or individual tables with great views of downtown and Lake Monona, the quieter atmosphere of the Rare Book Room, or sequester yourself in one of the individual user workrooms available on a first-come first-served basis. 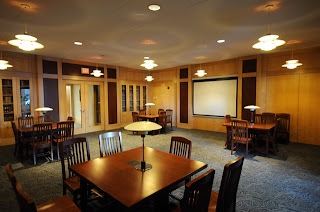 We also have electrical outlets and internet jacks all over the library, or you can use our free WiFi service. Stop by the Circulation Desk to pick up a bookmark with this month's WiFi password or sign out an ethernet cable if you need one. Storage lockers for use during library hours are also available. 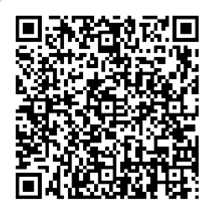 Scan this code to your mobile device to save our WiFi network connection information!